MASTER PROBLEMS People and Society How to avoid car crash from behind? How to avoid car crash from behind? 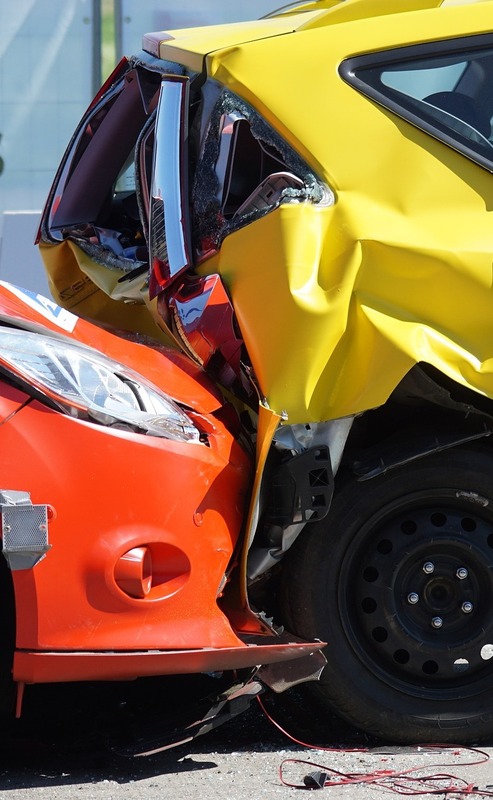 Highway officials blame drivers overconfidence in quickness to react and their misjudgment of stopping ability as important factors in these rear end collisions. It takes, on the average including time for reacting and braking 88 feet to stop when traveling 48 k.p.h., 149 feet when moving 64 k.p.h., and 366 feet when going 98 m.p.h. Therefore, unless you are at least those distances behind when the car in front stops suddenly stops, you may well be involved in the accident. Thus, it is apparent that the popular rule of one car length of space between vehicles for every 16 kilometers an hour is not sufficient in an emergency. Safe drivers will allow more space, especially during bad weather and when traveling at high speeds. Many drivers fail to keep sufficient distances between themselves and other cars during rain, fog, snow or sleet; apparently thinking that they can see as well and stop as quickly as when the roads are dry and the weather clear. But, obviously, this is not true. So when driving conditions are poor, reduce your speed and allow more space between cars. Do not worry if others pass you. Another factor responsible for tailgating accidents is the failure to anticipate what other drivers might do. It is important to drive defensively, constantly studying the traffic picture and planning for anything that may happen. Watch not only the car just ahead of you, but also the cars in front of it. Adjust your driving to allow a space cushion around your car, always making certain that you have an “out” if the unexpected occurs. Rehearse in your imagination what you will do in an emergency, especially if the driver ahead stops suddenly. But you not only want to avoid smashing into the car in front, you also want to keep the car behind from hitting your rear. If a driver ‘hugs your tail, encourage him to pass, even pulling off the roadway if necessary. And whenever leaving a fast-moving stream of traffic, get off the roadway as quickly as possible. Signaling your intentions will also help to keep drivers off your tail. Merely using the lowered-hand signal when stopping suddenly has prevented many rear-end collisions. If you signal properly and drive at safe distances, it is unlikely that you will be involved in any accidents due to following too close.